The long winter nights in Scandinavia would seem tailor-made for noir plots, but some of the new Norwegian and Swedish crime novels don't really go in that direction. And most of them (the ones that have made it into English anyway) are about the police, rather than private detectives (the staple hero of traditional noir). The one-person detective agency is represented only by the Norwegian Gunnar Staalesen's Varg Veum (whose specialty is lost children, in novels translated as ) and Norway's Kjersti Scheen's (her novel Final Curtain has a setting on the fringes of the theatrical world). Staalesen's three novels translated so far (the only one currently in print is The Writing on the Wall, the others, published in Britain, are out of print and occasionally available through Internet booksellers) are bleak in outlook, anti-authoritarian, and frequently involved with the lower classes. All of that keeps them very much in the noir tradition. Scheen's novel is closer to the "amateur detective" tradition, since her heroine clearly doesn't know what she's doing and doesn't handle violent interactions at all well (kind of like the heroine of P.D. James's one (or is it two?) 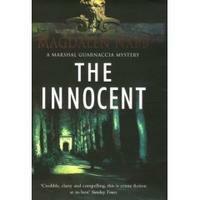 novel with a female, private detective, heroine). I wouldn't class Scheen as noir, exactly, because of the theatrical milieu and plucky heroine, but there is definitely a dark tone and a good deal of social criticism. Not exactly an amateur detective (since she's an investigative reporter), the heroine of Liza Marklund's Stockholm novels does fit into the plucky category, and the social criticism is more muted. Marklund's novels are more about the media, and the violent plots are about specific incidents more than social phenomenon (not very noir, I'd say). Karin Alvtegen's novels are not in a series--each takes a very noir, very "alternative social history" approach to outsiders, individuals at the fringes of the social milieu for one reason or another. And of Finnish noir, I'll have a separate post later on, having already mentioned it in an earlier post, only in passing. But the majority of what's been translated from Scandinavia concerns the police. Police procedurals are not in themselves inherently noir. The 87th Precinct novels of Ed McBain can be very dark (and very entertaining) but are in a way a genre unto themselves. Maj Sjöwall and Per Wahlöö openly acknowledge their debt to the 87th precinct in their 10 novels featuring the the Stockholm murder squad, but while McBain's social criticism (and the darkness, perhaps) increase over the life of his series, the S/W books featuring the dour, melancholy Martin Beck are dark from the beginning, creating a bleak portrait of the welfare state of Sweden's mid- to late-20th century. I recently read this series straight through, as if it were a single novel, and it holds up very well, until the mess of the last book (The Terrorists), which was written during Wahlöö's final illness. The novels are each short (after the fashion of the earlier mystery, detective, and police novels--the genre has fattened since the '80s, even McBain's later novels were much longer than his earlier ones), and each is an easily consumed commodity, almost more like a chapter than a whole novel. And though the detectives don't change all that much through the series, their characters and personal situations develop over time. The excellent Swedish TV series made from the novels glosses over some of these changes, and the novels remain the definitive Martin Beck. I've already dealt with Karin Fossum's excellent Norwegian police procedural noir fiction in an earlier post. The reason for this meditation is that I just finished Åke Edwardson's Sun and Shadow, translated from the middle of his series about Gothenburg chief inspector Erik Winter. There is some confusion in reading this novel, since there are evidently some elements from earlier novels that remain as fragmentary plot situations in this one, and Edwardon's style can be a bit oblique and choppy at times (even telegraphic, as in the resolution at the end of the book--very unsatisfying). Though Edwardson pointedly contrasts a not-that-idyllic Spanish coastal getaway (popular with Swedes) with the cold snowy winter of Gothenburg (the Swedish city's actual name is Göteborg), there is a bit of non-noir cliche in Edwardson's focus on the private life of the detective (and even more cliche, but oddly used, in the plot of the serial murder's turn toward threatening the detective's family). The novel is also a bit long. Helen Tursten's police procedural novel Detective Inspector Huss, also one of a series, but more self-explanatory, is a more satisfying book (also set in Göteborg). Though Tursten's text is more laconic than dramatic, and very much in the police-procedural tradition, the on-the-street focus of the plot and the difficulties of the female detective's life have a grittier, more realistic tone closer to Sjöwall/Wahlöö's books than Edwardson's book manages to be. While Edwardson's novel is a welcome addition to the growing list of available Swedish crime novels, Tursten's book is better. But better still is the first Icelandic police/crime novel of Arnaldur Indridason (there's a diacritical mark in his name that I can't duplicate, but don't worry, Amazon etc. can't either, so the author's name is easy to search for). The novel is available under two different titles (I hate when they do that, I think there's a new book out and it turns out to be the same one): Jar City or Tainted Blood. Neither is a translation of the original Icelandic title. The book is very focused on the detective hero's methods and daily grind, and also tangentially on his alienated daughter's decline into the drug world (another cliche particularly of Scandinavian noir is the detective's daughter, present also in the Beck novels and Henning Mankell's Wallander novels--more on that in a minute). But in Jar City (or Tainted Blood) there is also a deeply noir metaphor, a "mire" or bog, almost with a quicksand overtone) that lies underneath the crime. The second novel in this series, translated as Silence of the Grave, is less satisfying in plot and metaphor than Jar City, but is still a good read, dealing with time, domestic violence, and (still) the descent of the detective's daughter into the drug world. There is another in this series promised for next year, and it's on my list, definitely. And one last comment, on the most recent Wallander novel to be translated, Before the Frost, which features the detective's daughter again, but this time as police in her own right, a rookie cop assigned to her father's district in southern Sweden. Mankell's first police novel, Faceless Killers, was excellent, capturing police work, social problems, and a dark plot in a laconic style that almost seems stilted at first but gradually grows on the reader. But while that first novel dealt with a confined, even stifling, small town, noir milieu, subsequent Wallander novels tend to move toward global plots. There is a very good Swedish TV version of these novels (and in one case, While Lioness, the movie is not only available in U.S. and U.K. in a subtitled version, but is also much better than the book it's based on). There are a couple of exceptions, but Before the Frost is not one of the exceptions, and this tendency to Big Plots takes away from the novels as noir, to my eye. The surface action of the novels is dark, and the personalities of the characters darker still, but the globalized action breaks through the enclosed, claustrophobic milieu that is essential to the concentrated gloom of true noir. Linda Wallander, the new daughter-cop of Before the Frost, is interesting, though, and all the Wallander novels are worth reading, if in one central aspect deficient (from my own perspective, in my search for contemporary noir). As a contrast to the above comments on Scandinavian police fiction, there is a very cinematic French novel by Dominique Manotti, called Rough Trade in the translation that is very focused on police work at the micro, street level, plus lots of "lower depths" milieu within Paris. This fascinating novel has a sequel in translation that's been due out from a U.K. publisher for some time, and is now promised for this fall. The Scandinavians have been turning out prime examples of noir fiction since before the Maj Sjöwall/Per Wahlöö books created a sensation 30 years ago with their detective, Martin Beck, and his team (many of those novels have been made into movies and also a first-class Swedish TV series). Among the recent noir authors are Karin Alvtegen, Henning Mankell, Liza Marklund (though her novels are really mystery-thrillers, not noir), and Helene Tursten in Sweden, Arnoldur Indridason in Iceland, Matti Joensuu in Finland (not to mention the wildly entertaining Finnish-noir TV series and movie featuring the laconic hitman called Raid), and in Norway, Kjersti Scheen, Gunnar Staalesen, and Karin Fossum. 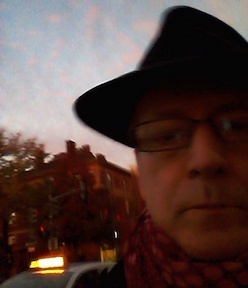 I don't know of any Danish noir--perhaps somebody can fill me in. 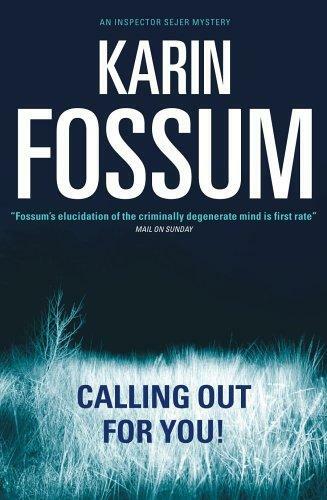 One of the most recent translations is Fossum's Calling Out For You, featuring Inspector Sejer, a detective in a small Norwegian city and the surrounding towns. Fossum has revived a genuine small-town noir, combining the police procedural and the dark small-town ambiance that recalls James M. Cain and Jim Thompson. Of the four of Fossum's novels to be translated thus far the first, Don't Look Back, and this most recent one are the best, and also the ones that stay closest to a police-procedural format. The other two diverge from the format though remaining in the noir tradition (Sejer is there, just not central to what is happening)--closer perhaps to the English psychological-noir tradition. In Don't Look Back and Calling Out For You, though, she adheres to the police format only in order to turn its conventions upside down. The biggest reversals come at the beginning of the earlier novel and at the end of the latest one (not to tell you too much about the plots). These two novels are so well done that they leave a reader thirsting for more, a prime consideration in genre fiction but a real problem given the lethargic schedule of the publication of translations. Italian crime novels are, more than for most countries, divided into those written by Italians and the myriad of novels written by English, American, and other writers about Italy. Some of these non-Italian writers live in Italy (Donna Leon, Magdalen Nabb) but a lot of others are little more than nostalgic tourists, writing about what they remember from their vacation. Among the Italian writers, there are a number available in English, including the novels of Andrea Camilleri (which have been made into a TV series by RAI, the Italian television network--these TV versions of the novel have been shown on American TV on a unique public TV station in the Washington DC area, the MhZ networks). There are also the noir novels of Carlo Lucarelli, which have a magic-realist element that I, for one, find a bit distracting (but they are very noir indeed). The Italian books that I've been reading lately include a very noir series by Massimo Carlotto, set in Padua and Venice, and Gianrico Carofiglio (set in the city of Bari, in the Puglia region--the heel of the boot of Italy). Carofiglio's novel that is now available in English (Involuntary Witness) is really a courtroom drama more than a noir story, but it's entertaining nevertheless. 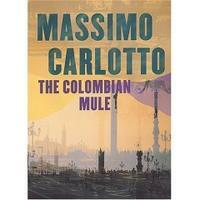 Carlotto's books (The Colombian Mule, available in the U.S. and U.K., The Master of Knots, and The Goodbye Kiss--the latter two forthcoming in the U.S. and already available or available soon in the U.K.) are underworld novels. His characters are Alligator (you'll have to read the books to find out about his nickname) and his pals. The plot deals with human and drug trafficking, from Colombia to Italy, and the "heroes" are about as shady as the "villains." Alligator's crew, each with his specialty in dealing with the lowlifes outside this inner circle of friends, constantly dodges the forces of law and the threatening criminals with skill and humor--hey, it's a formula, but it's an entertaining formula, and set in a part of the world that's worth exploring (Padua is very different from Venice, though both cities are involved in the story). One thing that I found particularly interesting in the plot and especially in the resolution of the story and in a very telling Author's Note at the end is what turns out to be an overarching theme of the book: Italian politics, and in particular prison politics. There is a twist out of fiction and into reality delivered by the Author's Note, and also by the bio offered on the book's front flyleaf (Carlotto was a famous man in his younger years, convicted of a crime he didn't commit, on the run from the law, and then emprisoned for years before being spectacularly cleared of the crime). Rolo Diez's Tequila Blue is a deceptively simple, Mike Hammer-ish tale of a corrupt, hard-drinking, constantly womanizing, and sexist policman in Mexico. The novel is short, but the tale nevertheless begins to drag because of the first-person narrative by the annoying detective, Carlos Hernandez, laying out his daily round of bribe collecting, playing around on his wife, and drinking. The actual case that the book is purportedly about, the murder of a gringo in very suspicious circumstances (a blond transvestite was seen leaving the room in which he was killed) doesn't begin to take the foreground until halfway through the book. But as Hernandez begins to focus on the case, and to suffer the consequences, the novel grows in power, finally clarifying the short first chapter and the nature of the narrative all along. Tequila Blue is ultimately a deeply dystopian, comic and tragic portrait of a chaotic contemporary Mexico. Diez is an Argentine emigre living in Mexico, and this deeply pessimistic novel could perhaps only have been written with an outsider's eye on the social circumstances of his adopted home. A comparison to Paco Ignacio Taibo's detective novels is unavoidable: Taibo is an insider in Mexican literary circles, and his detective stories are closer to magic realism—though they are dark, they are not as tragically pessimistic as Diez's world ultimately is. And though both writers use comedy as a tool in their creation of the fictional world of their books, Taibo's comedy is more self-consciously literary and his characters remain just that: characters in a novel. Diez's comedy is broader, more tragic, and more involved in social than literary commentary. There are several publishers who dedicate a lot of attention to international crime novels. In the U.K., Canongate, Serpent's Tail, Bitter Lemon, Arcadia (particularly their Eurocrime series), and Harvill (whose books are sometimes released in mass market paperbacks by Vintage) in particular have very strong lists (and Bitter Lemon has dedicated itself mostly to international Noir. In the U.S., beyond the local distribution of some of the above U.K. presses, Soho Press is particularly good, including novels from or about Italy, Australia, China, Korea, and elsewhere. The New Press has published the excellent Swedish series by Henning Mankell, featuring the detective Kurt Wallander and now his policewoman daughter Linda Wallander (these are published by Harvill in England). Over the years, Walker and Pantheon have published many international mysteries, though not so prominently recently. Perhaps readers can offer other publishers to check out? I've just finished Leonardo Padura's Havana Red, published by Bitter Lemon Press (UK). Padura (also published in English under the name Leonardo Padura Fuentes) is a Cuban author whose aims are literary as well as detective-genre-oriented. Detective Lieutenant Mario Conde of the Cuban police struggles with his own identity as a person and a cop, through a case involving a murdered transvestite who was from a family of privilege under the Castro regime. Homosexuality and transvestism are explored extensively, to Conde's discomfort, as necessary to understand the case, and Conde is at the same time under threat from an internal, politically motivated investigation of his department. Havana Red, like the Brazilian police novels of Luis Alfredo Garcia-Roza, is more concerned with milieu, character, and language than with plot or detection, so if you're looking for a thriller, this isn't it. But the plodding, systematic activity of a policeman (and one with a conscience) is ann ideal way to explore the Cuban culture. Havana Red is haunted by Cuban literature--explicitly in the many references to the gay playwright Virgilio Piñera, and in a more subtle way to the comic, nostalgic, and despairing voice of the great Cuban emigre novelist Guillermo Cabrera Infante. and like the police novels of Yasmina Khadra, there is an explicitly bleak portrait of a political situation. But the novel manages with all that literary and political weight to be an entertaining novel, and a quirky take on the noir tradition. Padura (or Padura Fuentes) has one other novel in English (Adios Hemingway) that deals with the Hemingway legacy (and with Mario Conde's exile from the police). Another much-praised novel of Cuba (José Latour's Outcast) deals with noir material, but I for one found Latour's narrator and main character to be too self-absorbed to be efffective as a noir "hero" or anti-hero, even though the events of the character's marginalization in Cuba and his flight to Miami (not to mention his search for revenge) are the stuff of noir. 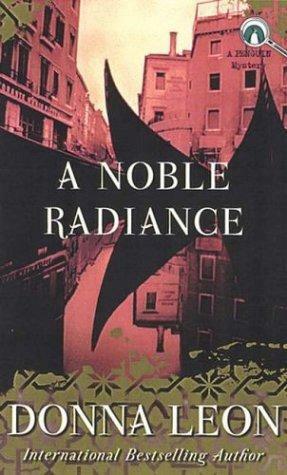 Padura's novels are a much better noir portrait of Havana than Latour's of either Havana or Miami (in my opinion).